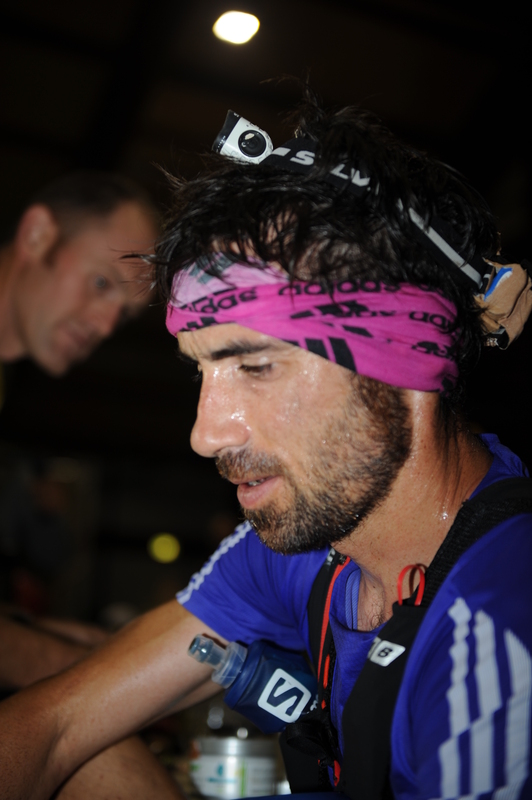 Xavier Thevenard claimed his second UTMB title to go with his triple crown of UTMB, TDS and CCC triumphs. Running his race throughout he watched as potential threats dropped by the wayside. His lead by the time he reached the cheering crowds in Chamonix was forty-eight minutes. 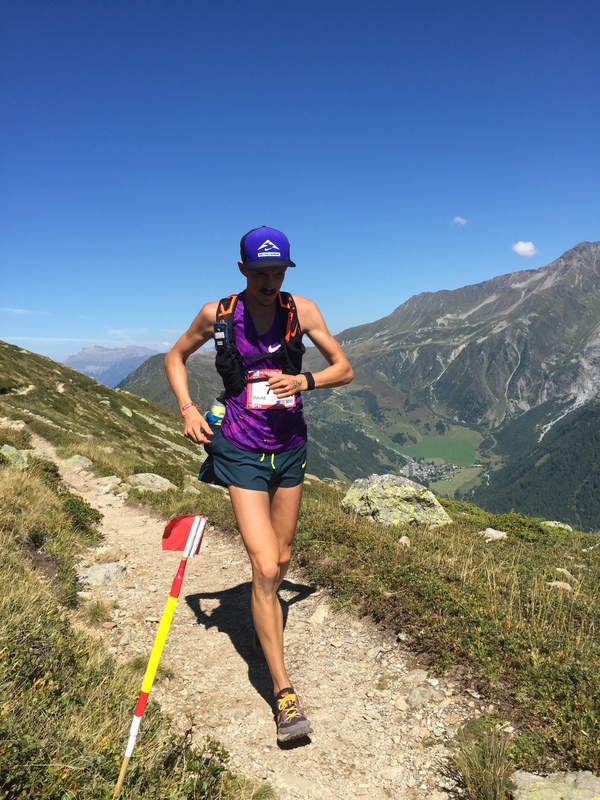 Nathalie Mauclair won a race of attrition to finally triumph at UTMB arriving in Chamonix in the early evening to the mass of fans lining the streets. 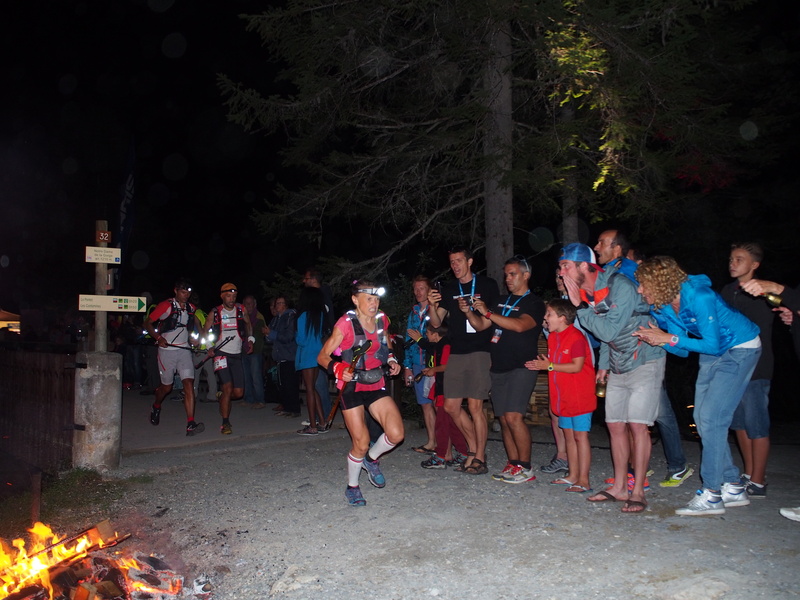 On a warm (28C) Chamonix evening 2,300 runners assembled for the thirteenth edition of the Ultra Trail du Mont Blanc. 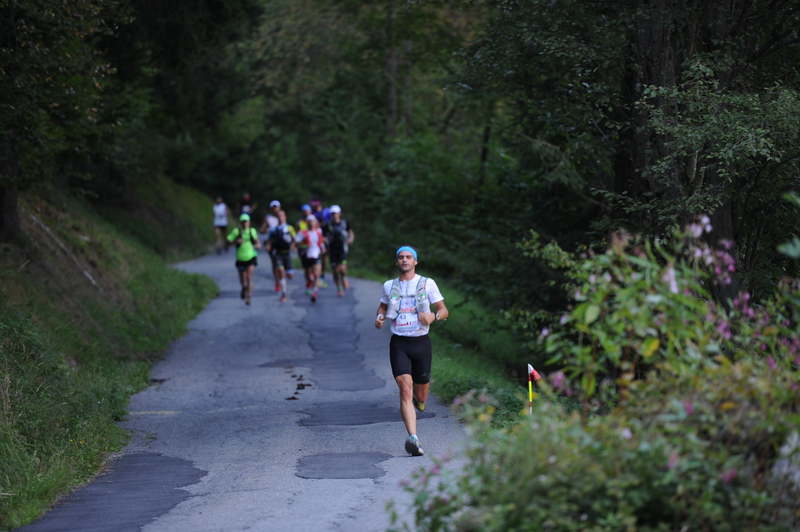 As seems to be typical of UTMB there are many that run the first five miles to Les Houches at a sprint and this year was no exception. Hitting the front was Erik Clavery, followed by a lead pack that included Luis Alberto Hernando, Tofol Castanyer and Miguel Heras. Sage Canaday, Julien Chorier, Thevenard were running within them-selves in a second pack followed by a very comfortable looking Ryan Sandes. Only Thevernard was to finish. Canaday stumbled and required stitches just before Courmayeur, Sandes was having an off day and Chorier dropped much later. 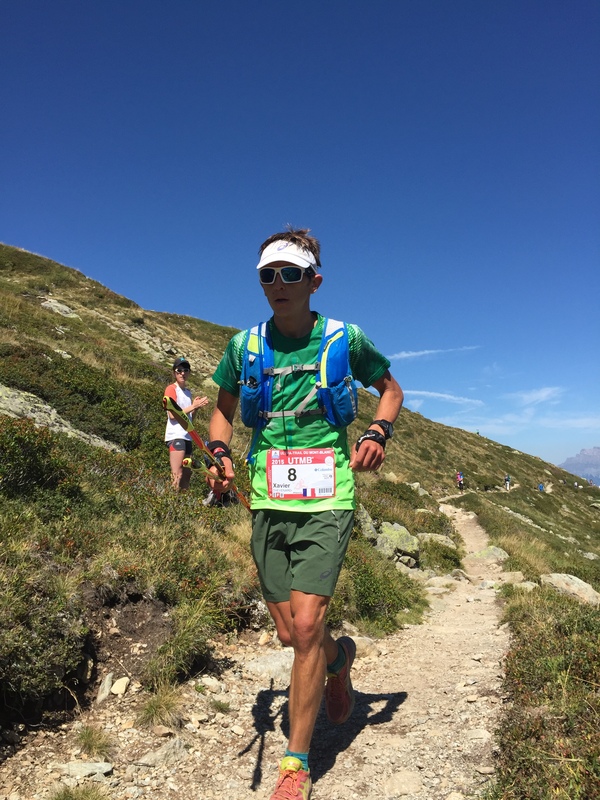 Thevenard and the three Spaniards were to make it as a lead group and push the pace along and by the time they arrived at Courmayeur (78km) there was good breathing space between them and now fifth place American Seth Swanson. Thevenard was out first from Courmayeur to head up the next big climb to Refuge Bonatti. Castanyer, Heras followed shortly with Hernando last out. Swanson was to push hard and with Castanyer, Heras dropping he found himself in a solid third place. By the time they reached Tetes Aux Vents (159km) Thevenard had a fifty-six minute lead over a battling Hernando who was only meters ahead of Swanson. It looked like Swanson was to take second, but a fast moving David Laney (eleven minutes behind at Tetes Aux Vents) made up a ton of time on this final downhill section into Chamonix. A speeding Laney ran out of trail to catch Hernando. It was heralded on a paper to be a fantastic contest, Nuria Picas, Caroline Chaverot, Stephanie Howe, Uxue Fraile Azpeitia, Fernanda Maciel, Francesca Canepa and Darcy Africa and of course Nathalie Mauclair. The heat and brutal course conditions took their toll. Picas and Canepa were first to drop. Chaverot moved to second being tracked by a dogged Mauclair. But Chaverot, in her debut 100miler was having her own issues and eventually had to drop. This left the door wide open for a tough and resilient Nathalie Mauclair, to consolidate her race and reach Chamonix for a well deserved win. Her lead over second placed Fraile was seventy-four minutes. Switzerland’s Denise Zimmerman passed Spaniard Silvia Trigueros to take the final podium spot. This entry was posted in Uncategorized, UTMB and tagged Caroline Chaverot, D'Arcy Africa, David Laney, Denise Zimmerman, Erik Clavery, Fernanda Maciel, Francecsa Canape, Julien Chorier, Luis Alberto Hernando, Miguel Heras, Nathalie Mauclair, Nuria Picas, Ryan Sandes, Sage Canaday, Seth Swanson, Silvia Trigueros, Stephanie Howe, Tofol Castanyer, Ultra running, Ultramarathon, UTMB, UTWT, Uxue Fraile, Xavier Thevenard on August 30, 2015 by Ian Campbell.